Bookstagrams are a form of art. Fact. Bookstagrams are also a form of great marketing, and as such, a source of revenue. Also fact. Why is it that the bookstagram community has worked so well for publishers and bloggers alike? Why is #bookstagram currently at over 19 million hits on Instagram? It’s because of both of those above facts. People like to see art. And in posting this art, they are unknowingly marketing a publisher while simultaneously marketing themselves. It’s brilliant. And there are no signs of it slowing down. Bookstagrams, like all other forms of art, can be tricky to learn how to make. All it takes, though, is an honest feed, intentional artistic arrangement, and, most importantly, consistent branding. What exactly goes into a bookstagram? The short answer: ANYTHING WITH A BOOK. It really is that simple. For me, I like to use props that go well with the themes of the book as well as the cover design. Some people just take pictures of pages. Some people take pictures of endless stacks of books surrounded by hundreds of colorful props so large you actually can’t read any of the titles on the books. For my picture, I arrange the props against a consistent white background. It’s actually just a shelf I have at home. A really popular background right now is monochrome sheets. 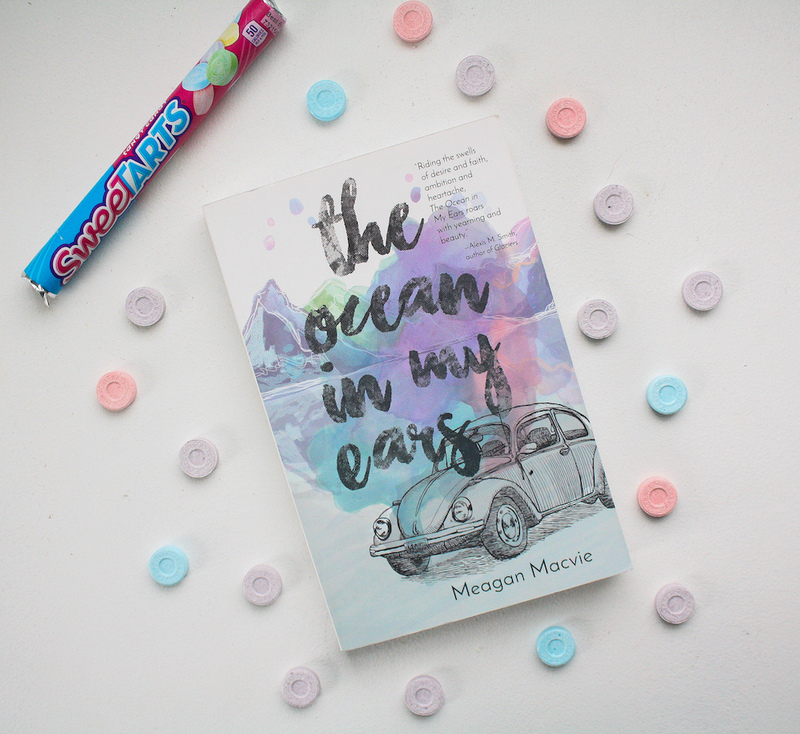 For my props in my example of The Ocean in My Ears , I used SweeTarts because they’re relevant in the book itself and also pair very well with the cover. After I take the picture, I edit it. All of my photos are edited to have the same lighting, the same fade, the same vibrancy. This is all part of the brand. I’ve yet to see a successful bookstagram that doesn’t use some kind of consistent photo editing. People want to see similar styles of photographs. You heard it from the rich people’s magazine itself. Stay consistent, and your bookstagram will reach more people. When you reach more people, the books make more money, and you get more followers. It’s a win-win.